The Weisz Teacher's Blog: Spring is Coming! Tok School middle school students have been working hard through the third quarter and are probably very ready for spring break. We are beginning to get back into more "fun" projects now in class - more work with video and definitely MORE BLOGGING! Start checking out student blogs to see what they have been up to. 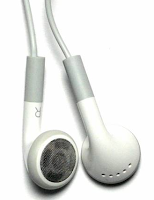 REMINDER - all middle school students should be coming to class with a set of ear buds! I have issued every student a pair of ear buds at least once this year (some more). I know many would prefer to use their own and that is just fine - I only ask that you remember to bring them! Much of the work we do involves some form of noise emitting from your laptops.